I was five years old when I moved to Hawaii with my mother. By that age, I had already become somewhat of a foodie. My love affair with food had already started and my chubby frame made that quite obvious. I could also remember tastes. 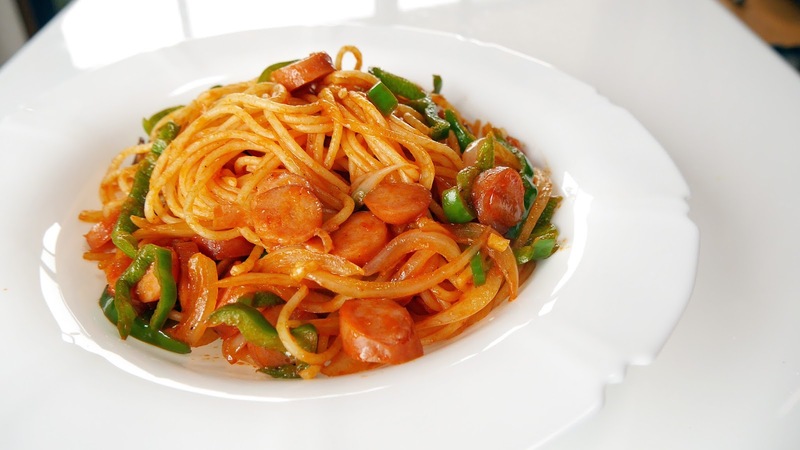 The first time I had spaghetti was when my mother cooked for me in Japan. I was probably 3 or 4 years old, but I don't remember exactly. I'm bad when it comes to numbers. But like I said, I remember tastes. 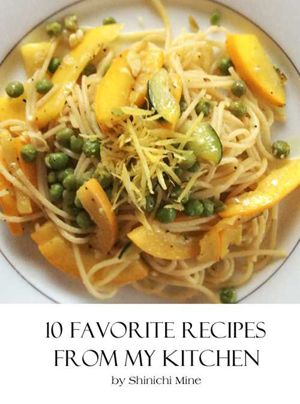 My mother used to make me a dish called Spaghetti Napolitan. It was the only pasta dish I knew. No surprised there because back then, Italian food wasn't widely know yet in Japan and the closest thing was Spaghetti Napolitan. It's far from authentic Italian cuisine and everyone knows. In fact, this dish is considered Yoshoku, which loosely traslates to Japanized Western Cuisine. I'm sure many of you are quite familiar with other Yoshoku dishes. Curry Rice, Tonkatsu and Omurice belong in the Yoshoku caterogy to name a few. Spaghetti Napolitan is simply comfort food for the Japanese. We used to eat it as kids and Yoshoku is making a comeback. Napolitan is once again, all the rage, at least here in Japan. My mother's recipe was simple and it's the one that I still make even in my adulthood. Chop the garlic. 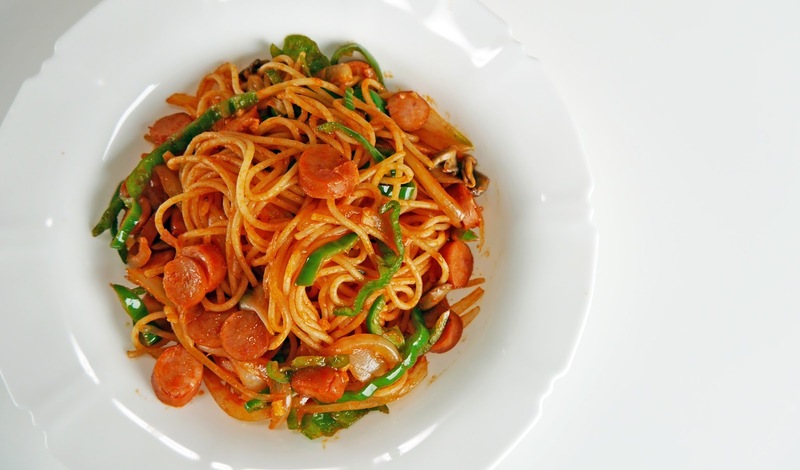 Slice onion, bell pepper, mushrooms and mini sausages into small pieces. Add pinch of salt to a pot of water and bring to a boil. Cook spaghetti until al dente. Drain well and set aside. Pour olive oil in a frying pan and cook the garlic until fragrant. Add onions and saute for a couple of minutes. Add in mushrooms, bell pepper and sausages and cook until onions are translucent. Add in spaghetti and toss together. Season with pepper and salt to taste. Add 1-2 tbsp ketchup and toss to combine over low heat. Serve immediately.